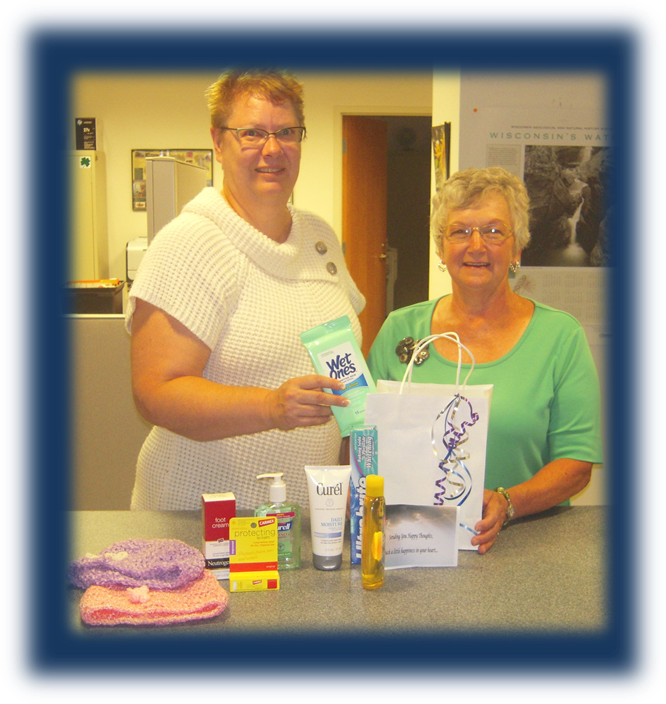 Since 2006, Sauk County Home and Community Education (HCE) have been donating bags to radiology and chemotherapy patients in Sauk County. 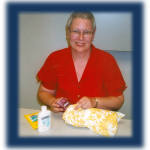 One of our past members, Lynn Zick, received chemotherapy for breast cancer. We wanted to honor her and all the men and women who have to undergo treatment for cancer. Thus, the Lynn’s Legacy bags were created. We have delivered the bags to St. Clare Hospital and Clinic, Reedsburg Memorial Hospital, and the Sauk Prairie Memorial Hospital and Clinics. We have also given them to friends and neighbors who are Sauk County residents and receive treatment in hospitals and clinics in other parts of the state. The gift bags include personal-care items such as lotions, sanitizers, lip balm, baby shampoo, and foot cream – products that are fragrance and alcohol-free. This makes them safe for patients who have weakened immune systems due to treatments. Knitted, crocheted, or sewn scarves or caps are included in the bags as well. If you or anyone dear to you is currently in treatment and has not received one of these bags, please contact the Sauk County UW-Extension office at 608-355-3250.